I recently made these coasters for my Mom for Mother's Day, they went down really well and I'm glad I made that extra effort to make something for her! 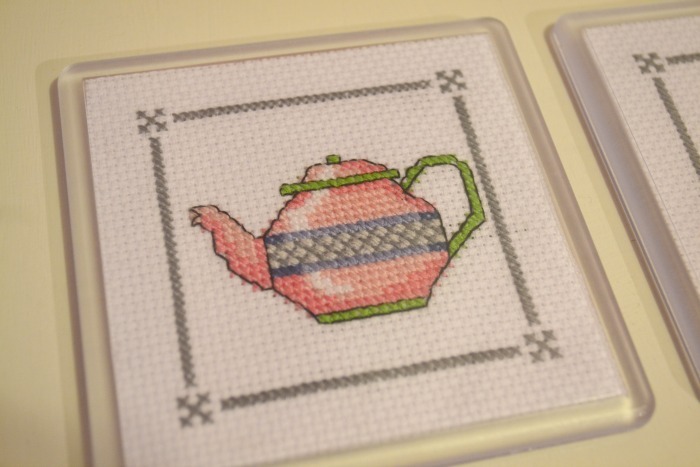 I've wanted to try cross stitch for a while, so when a friend saw these designs in a magazine I thought they'd be the perfect starter projects. They're probably not very technically correct if an experienced cross stitcher looked at them, but I'm really pleased with how they turned out :). The magazine suggested adding a wadding and a material back to turn the designs into coasters, but I thought that was a bit weird because surely you're just going to get tea rings all over them! 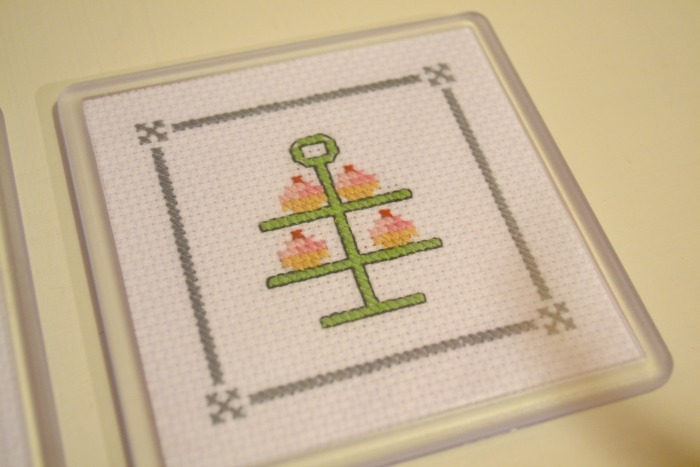 Instead I bought some DIY photo coasters from ebay (like this) and added the cross stitch and a plain piece of paper at the back to cover the stitches. Hopefully this will make them last a lot longer and my mom will get more use out of them! I think they turned out great! what a lovely idea.